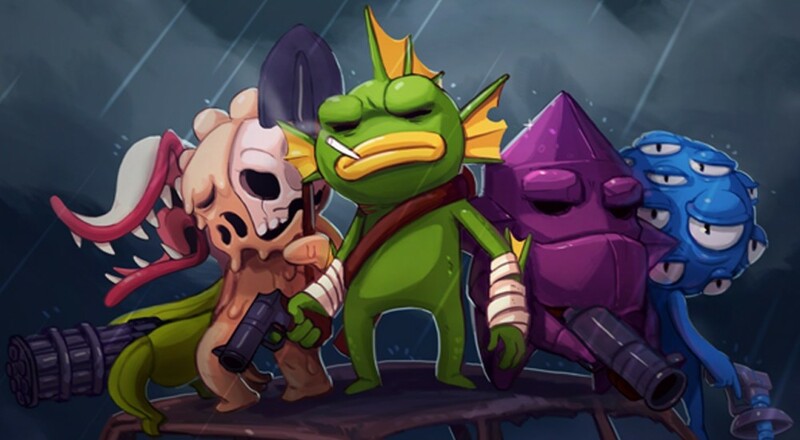 Nuclear Throne is a game that punishes a lack of skill without judgement or pretension. When you've failed to reach your distant goal for the 13th time in an hour, the game doesn't chide you or offer to lower its own difficulty (the most underhanded of insults, in my opinion). Instead, it merely tells you, "You deserved that. Wanna go again?" This isn't a new formula by any means. Plenty of games offer near-immediate restarts upon failure, but it's a technique that I've found myself dwelling on more and more as my experiences with roguelikes deepen. In some twisted way, I've found it to be almost encouraging, like a stern, no-nonsense kung fu master. Despite continued failures, the game persists in our training, knowing that our determination will eventually give way to some deep, untapped potential. Or maybe it just wants to see how long it'll take us to crack. Hope you enjoyed it! We play Nuclear Throne every Thursday at 8:30 PM EST, and we'd love to see you in the Twitch chat. Come on by, crack open a beverage, and bask in that sweet, sweet radiation. Page created in 0.5176 seconds.